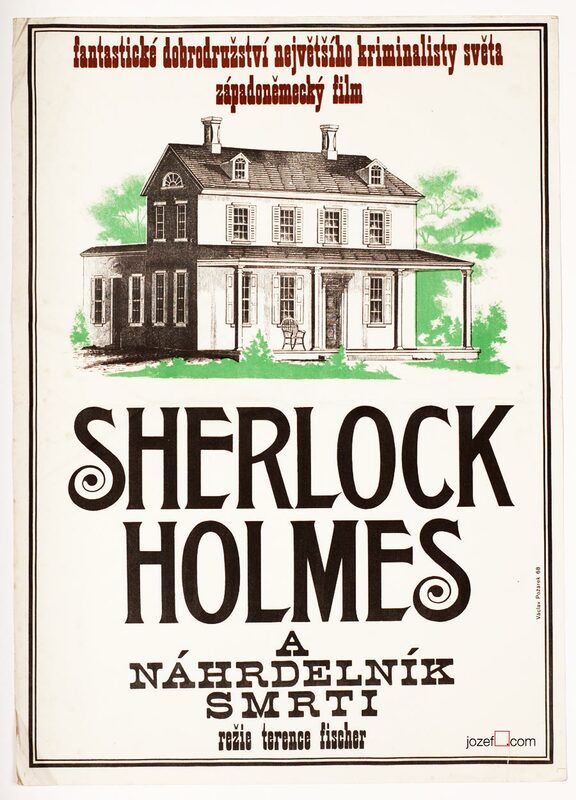 Sherlock Holmes poster designed by Václav Požárek for the movie based on the famous novel Sherlock Holmes and the Deadly Necklace novel by Arthur Conan Doyle. For shop and blog highlights, please subscribe to our weekly newsletter. 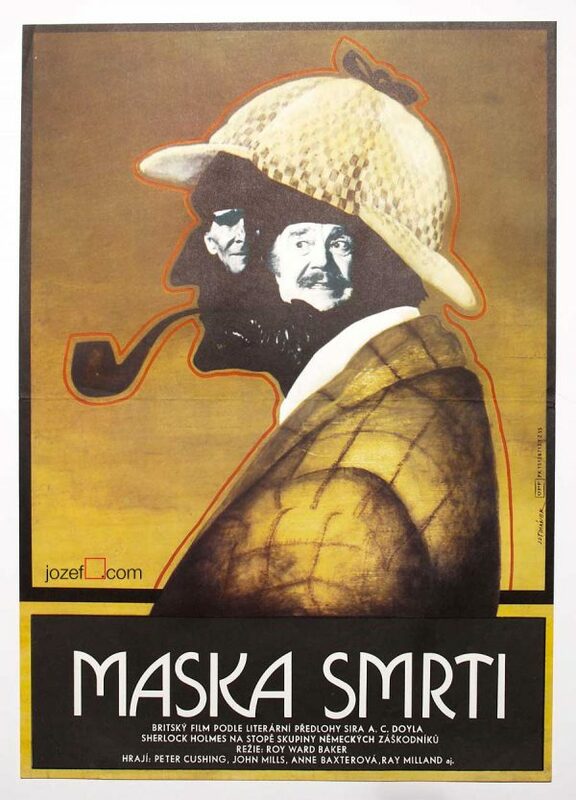 Sherlock Holmes movie poster created by Czech poster designer Václav Požárek. Movie poster was designed for famous crime story Sherlock Holmes and the Deadly Necklace by Arthur Conan Doyle. 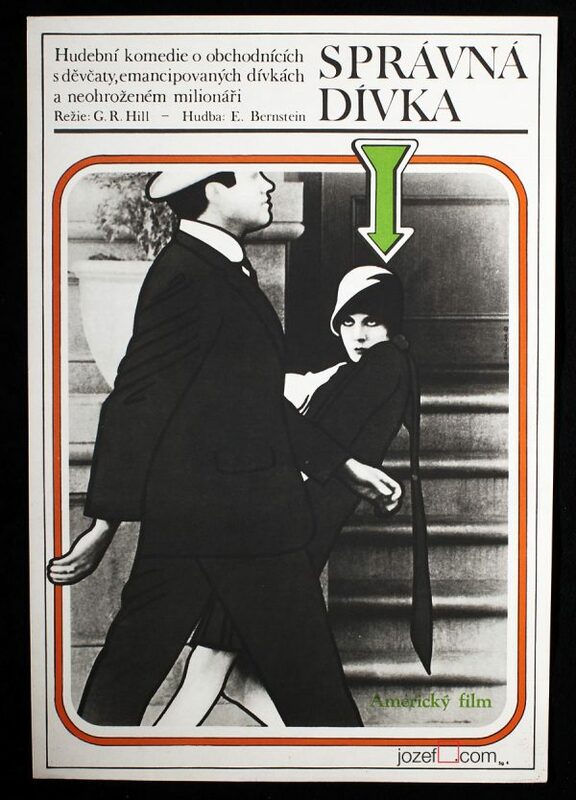 All movie posters in our collection are original promotional materials previously displayed in the cinemas across former Czechoslovakia and therefore bear the signs of their age and use. This lovely Sherlock Holmes poster was previously folded. It is fairly creased with some cracks around edges, 2cm crack on bottom edge. Gentle folds in the corners, soft stains visible across the poster. Poster is in nice condition and despite its age wear it will look fantastic once framed. Movie poster is in A3 size. 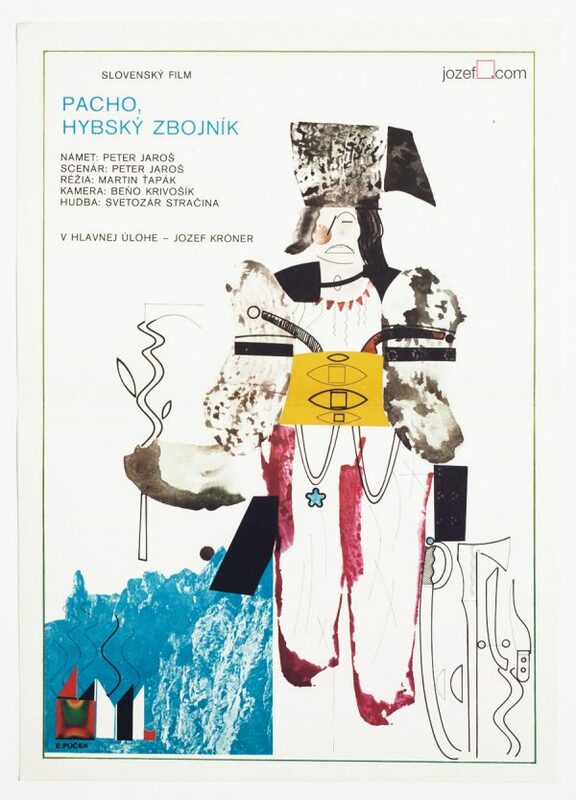 1960’s movie posters designed in Czechoslovakia. minimalist posters available in our movie poster shop. Subscribe to our weekly newsletter for shop / blog highlights and special offers. Note: FREE SHIPPING on 2 or more prints / posters! Please select as option when checking out. 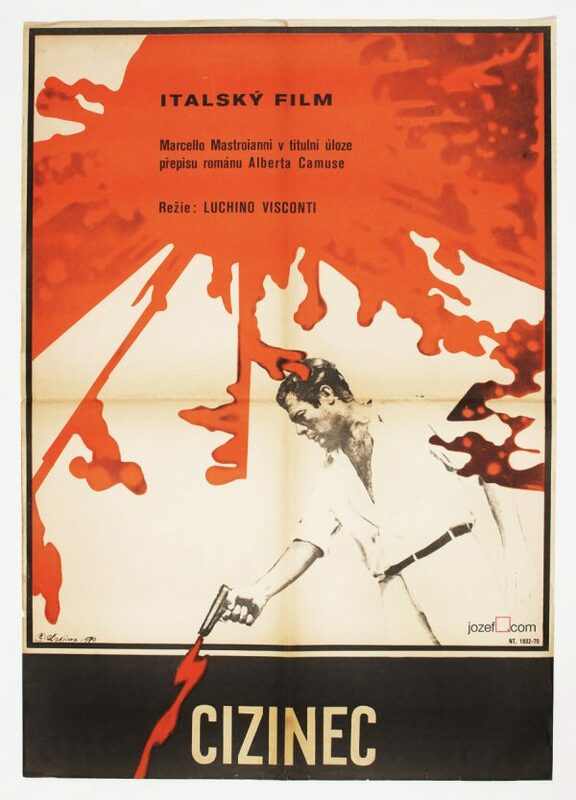 Be the first to review “Movie Poster – The Deadly Necklace, Václav Požárek, 1968” Click here to cancel reply.